Hosting the head of the Palestinian Islamic Jihad in Tehran, the Iranian supreme leader also hailed the Palestinian “resistance” against Israel, arguing that the most recent exchange of violence between Israel and terrorists groups in Gaza, which ended with a ceasefire, heralded Israel’s imminent demise. “Palestine will strongly persist, and by the grace of God, the Palestinian nation’s ultimate victory will come true in the near future,” the ayatollah told Ziad al-Nakhala, who became PIJ’s leader in October. “As for the recent years, the victory of the Palestinian people has not meant being able to establish a government in Tel Aviv;— of course that will come true by God’s help,” Khameini added, according to a readout of the meeting posted on his official website. Khameini chose to refer to Tel Aviv, when the seat of Israel’s government is Jerusalem. Many in the international community refuse to recognize the city as Israel’s capital, but expect it to become the shared capital of Israel and a future Palestinian state. The Palestinian Authority has never expressed interest in establishing a government in Tel Aviv, which it acknowledges will remain part of the State of Israel. However, Iran and radical Palestinian groups, including PIJ and Hamas, refuse to recognize Israel in any borders, vowing to “liberate” all of historical Palestine. 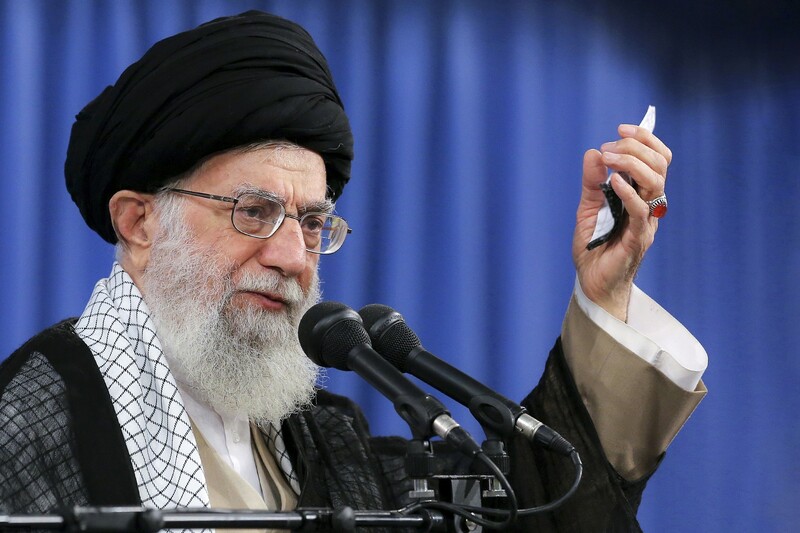 Speaking to al-Nakhala, Khamenei hailed the “victories of Palestinian resistance groups” against Israel, citing the decreasing number of days of fighting compared to previous military confrontations as a harbinger of the Palestinians’ ultimate victory. The Zionist regime—which begged for ceasefire after 22 days in one case and after 8 days in another case of war against resistance groups— was brought to its knees in recent attacks and asked for truce after only 48 hours: this means defeating usurper Zionist regime. On November 13, after 460 rockets and mortar shells were fired at southern Israel over the course of 25 hours, the Israeli government agreed to an informal Egyptian-brokered ceasefire with Hamas. It was the worst flareup since the 2014 war, which also ended with an ceasefire. Al Nakhala, who is based in Syria and is said to be close to Iran and its Lebanese proxy Hezbollah, told Khameini that the “people of Gaza are standing up to the Zionist Regime and the so-called Deal of the Century plot,” according to the readout. Nakhala, who was born in Gaza in 1953, in late September was named PIJ’s first new leader in 20 years. This entry was posted on December 31, 2018 at 4:41 PM and is filed under Uncategorized. You can subscribe via RSS 2.0 feed to this post's comments. You can skip to the end and leave a response. Pinging is currently not allowed.